Mr. Ray Abrahams was appointed as an independent non-executive director on 11 January 2010. He currently provides business consulting services to manufacturing organisations. He is a mechanical engineer with experience in operations, design, construction, asset management and projects within the mining, petrochemical, utilities and heavy manufacturing industries. 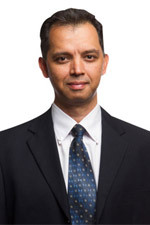 Mr Abrahams is a member of several professional organisations including the Institute of Directors of South Africa, Engineering Council of South Africa, South African Asset Management Association and the Future Leaders Forum. He is a certified JSE and Alt-X director. He holds a BSc (Mech Eng) from Wits University and is a registered professional engineer. He also holds Government Certificates of Competency in Mining and Factories from the Departments of Minerals and Energy and Labour respectively. BSc (Mech Eng) (University of Witwatersrand) and is a registered professional engineer. Government Certificates of Competency in Mining and Factories (Departments of Labour and Mineral Resources respectively). Is a member of several professional organisations including the Institute of Directors of South Africa, Engineering Council of South Africa, South African Asset Management Association and the Future Leaders Forum.